time use, To solve this problem, we put a foam on the surface of the crank. 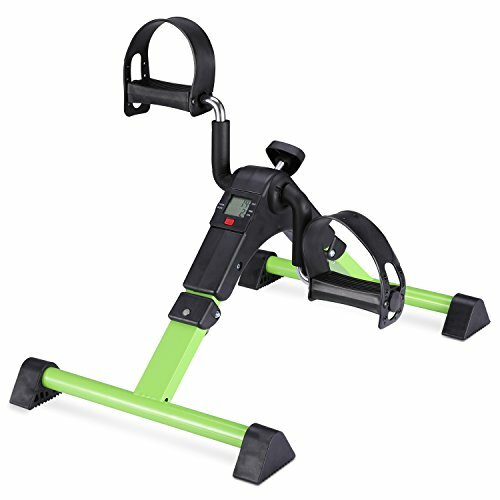 Mini exercise bike is designed for leg and arm cycling exercise or knee recovery exercise, to strengthen arms and legs, increase circulation, improve stamina and relieve tension after long time sitting or working, perfect for rehabilitation following a surgery or injury. 5 functional LCD monitor displays exercise TIME, COUNT, RPM ,CALORES BURNED AND SCAN, very easily to arrange your exercise. The peddler is made of reinforced steel pipes and ABS plastic, and the crank is wrapped in heat-insulating foam, it is safe and stable to use,and firm enough for long term use.